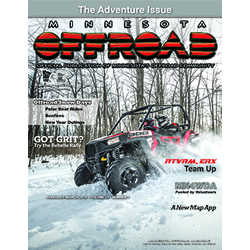 Offroad News Archives - Midwest Sports Publishing Network, Inc.
March 28, 2019 – Townsend, Wisc. – The Red Arrow Snowmobile/ATV Club and the Hidden Bear Trail ATV Club are sponsoring a Wisconsin DNR certified ATV Safety Course. The course will be held at the Townsend Town Hall Municipal Building, 17937 Front Street, Townsend WI (corner of Elm and Hwy 32). Class meets Saturday, April 27th from noon to 4:00 PM and Sunday, April 28th from noon to 3:00 PM. Everyone is welcome to attend the course with a recommended minimum age of 11-1/2. 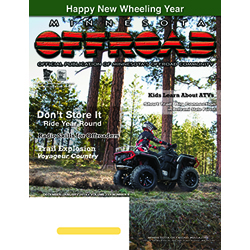 Anyone born after January 1, 1988 and at least 12 years old must have ATV certification to operate on public areas. Those students who have not reached the age of 12 may not use their certificate to operate alone until they turn 12 years of age. Parents and adults are encouraged to enroll and participate. Fees for the course are $10.00 per student. Fee is waived if you, parents or grandparents are members of either club. Students successfully completing the course will receive ATV safety graduate certificates. It is important to note that students must attend both sessions. There is no actual ATV operation in the class. Register online and also obtain a DNR customer number at https://gowild.wi.gov/ or a customer number can also be obtained at DNR service outlets or 1-888-936-7463. Class size is limited. Students with special needs will need to contact the instructor at least two weeks in advance to request special accommodations. For information, please contact Larry Westphal at 920-912-3689 or Lw56trailz@gmail.com. You can find out more about Red Arrow activities by visiting our website at redarrowtownsend.com or visiting our Facebook page at RAhavingfun. Hidden Bear Bear Trail ATV Club information can be found at hiddenbeartrailatvclub.com . Come ride with us and enjoy our trails. We are right in the middle of well over 1000 miles of fully interconnected ATV/UTV trails. MINNEAPOLIS (March. 5, 2019) – The model year 2020 Polaris® lineup includes premium snowmobiles for every terrain and every type of rider, including youth, riders developing their skills and confidence, trail performance enthusiasts, deep snow riders, on- and off-trail crossover riders, adventure riders, and riders who need versatile sleds that can tackle big jobs. The 2020 model year also marks the 40th anniversary of the most legendary model name in snowmobile history: INDY®. The 1980 model lineup was the first with production models featuring the Polaris IFS – Independent Front Suspension – that revolutionized snowmobile ride and handling. INDY® models established Polaris as the global leader in snowmobile ride and handling, and INDY® sleds continue to deliver the ultimate riding experiences today. During Polaris’ SnowCheck spring pre-order program, several 2020 models are available with the most powerful Polaris snowmobile engine ever, the Polaris®850 Patriot™. It is available in deep snow, crossover, and trail performance models. Polaris® RMK® models are the world’s greatest mountain sleds. They are the lightest, strongest, and most flickable deep snow snowmobiles available, and the 2020 lineup includes the new RMK® EVO™ for beginning deep snow riders, and the RMK® KHAOS® 155 for riders who want the ultimate in agility. The RMK® EVO is the perfect fit for new off-trail riders. It is designed to put a rider comfortably in control to help them develop skills and confidence. The sled has a 144-inch track for off-trail traction and flotation, and a 550 fan-cooled engine with just the right power for a new rider. An accessory EVOlution Kit is available to increase suspension travel and access more power from the 550 engine as a rider’s confidence grows. The new 2020 RMK® KHAOS® 155 is a true all-mountain sled for riders looking for the most playful, fun and most agile sled in all riding conditions. With the React™ Front Suspension, premium Walker Evans® shocks, and AXYS® Chassis, it delivers lively and dynamic riding in all riding zones. The 2020 RMK lineup also includes several best-selling PRO-RMK models with tracks of 155”, 163”, and 174”, and versatile SKS models in 146” and 155” track lengths that are the ultimate deep crossover sleds. It’s fitting that in the 40th anniversary year of the INDY® model name, several outstanding new INDY® models make their debut to deliver the legendary performance and ultimate versatility for which the INDY® name is known. For extreme performance trail riders, the 2020 INDY® lineup includes the new INDY® XCR®, a durable, race-proven model with the next-generation PRO-CC™Rear Suspension and premium Walker Evans® shocks. This new model features numerous race-proven components and is the new choice for riders who want to dominate tough terrain at high speeds. It is available with the 600, 800, or 850 engine. The all-new INDY® XC 137, INDY® SP 137, and INDY® Adventure 137 bring high-performance riders the ultimate in handling and versatility, along with a premium Walker Evans® shock package. The INDY® Adventure 137 models deliver the premium INDY® ride and handling along with the added versatility of features such as an overnight bag, mirrors, a heavy-duty front bumper, and accessories such as the Lock & Ride® FT2 Passenger Seat that is heated and has heated handgrips. For the first time, Adventure also offers full SnowCheck customization. The INDY® EVO returns as a sled that is just the right size with the right amount of power for new riders, and the 2020 INDY® line also includes INDY® XC®, INDY® SP, and INDY® LXT models with a wide selection of engines, shock packages, and features. For trail riders who demand the ultimate cornering and handling, the sleds of choice are the 2020 RUSH® PRO-S models. They feature the AXYS® Chassis with premium suspension and shocks, unrivaled acceleration, and rider-centric comfort. These sleds are available with a choice of engines, including the 600 Cleanfire®, the 800 Cleanfire® H.O., and exclusively through SnowCheck, the Polaris® 850 Patriot™. Polaris offers a large selection of 2020 crossover models that provide riders with go-anywhere versatility. Recreational riders choose Switchback® models that are the smoothest riding, and most versatile crossovers. They let a rider cover ground quickly on-trail, and freely explore the backcountry. Polaris TITAN® models are the world’s most capable crossover sleds as they have 20-inch-wide, high-flotation tracks, impressive cargo and towing capacity to tackle big jobs, electric start, reverse, and a high-performance attitude that makes them incredibly fun to ride. The 2020 Voyageur® models present riders with limitless possibilities. Their standard features treat riders to the ultimate in comfort and convenience, and they can be equipped with accessory cargo solutions that make Voyageur models incredibly capable long-distance trail touring sleds. 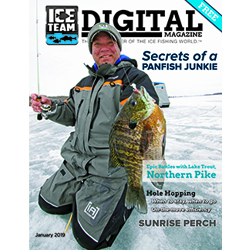 Polaris is excited to announce the release of TECH54, a revolutionary new line of apparel this year. TECH54 is made with advanced material technology that offers waterproof breathability and comfort for every rider. In additional to TECH54 we are partnering with an industry leader, PIEPS – to bring our riders a full assortment of avalanche safety gear. Polaris offers gear and casual wear that meets the unique demands and style of every rider. A large selection of Polaris Engineered Parts and Accessories are available for 2020 models in every category. There are accessories to enhance rider safety, performance, comfort, protection, and cargo capacity. These accessories were engineered with the sleds by Polaris development teams, so they install properly, fit securely, and deliver outstanding performance.